27 days, 19h:39m:13s £25.00 Buy now! Game Set And Match for Amstrad CPC from Ocean 0 days, 04h:09m:10s £15.75 Buy now! Big League Soccer II for Amstrad CPC from Viper Software on Disk 0 days, 21h:27m:36s £31.50 Buy now! Wulfpack / Wulf Pack 0 days, 22h:45m:48s £2.25 Buy now! Ocean Conqueror 0 days, 22h:46m:53s £1.95 Buy now! Ocean Conqueror 0 days, 22h:48m:55s £1.95 Buy now! Arkanoid: Revenge Of Doh for Amstrad CPC from Imagine on Disk 1 days, 08h:45m:07s £36.75 Buy now! Leaderboard for Amstrad CPC from U.S. Gold on Disk 1 days, 08h:45m:07s £5.25 Buy now! Little Puff In Dragonland 1 days, 13h:50m:02s £4.25 Buy now! Amstrad CPC464 Home Computer - Tested and Working 1 days, 14h:48m:33s £75.00 Buy now! F-15 Strike Eagle for Amstrad CPC from MicroProse on Disk 1 days, 22h:37m:49s £10.50 Buy now! Hard Drivin' for Amstrad CPC from Domark on Disk 1 days, 22h:37m:49s £10.50 Buy now! Mini Office II for Amstrad CPC from Database Software on Disk 1 days, 22h:37m:49s £5.25 Buy now! They Sold A Million for Amstrad CPC from The Hit Squad on Disk 1 days, 22h:37m:49s £21.00 Buy now! Amstrad Action Issue 48/September 1989 Magazine 2 days, 01h:13m:15s £3.15 Buy now! Best Of Elite Vol. 2 for Amstrad CPC from HitPak 2 days, 03h:49m:02s £6.50 Buy now! Amstrad CPC Game: Premier II Super League by E&J Software *RARE* 2 days, 05h:28m:44s £3.55 Buy now! Amstrad CPC Game: Knight Games by Mastertronic 2 days, 05h:29m:21s £4.55 Buy now! Amstrad CPC / ZX Spectrum Game: On Cue by Mastertronic Added Dimension 2 days, 05h:36m:12s £4.55 Buy now! Amstrad CPC Game: Nexor by Zeppelin Games 2 days, 05h:38m:10s £1.55 Buy now! 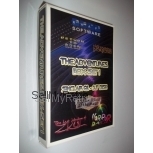 Amstrad CPC Game: Enduro Racer by Hit Squad 2 days, 05h:42m:38s £4.55 Buy now!